Your Lakeside Lutheran was offered a unique opportunity to have video filmed during a helicopter fly over of the grounds. 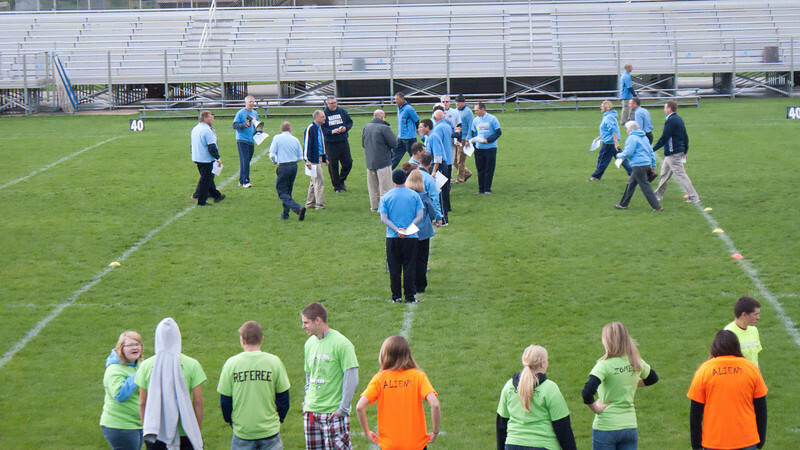 Teacher Todd Hackbarth and other staff organized a student body choreography on the football field designed to witness to what makes our school so special. Keep an eye out for the video, coming soon! Meanwhile, take a look at some pics taken during a practice session the day before. No one could get high enough to get a good impression of what it would look like fromt he sky, but it was fun to watch the student excitement build!